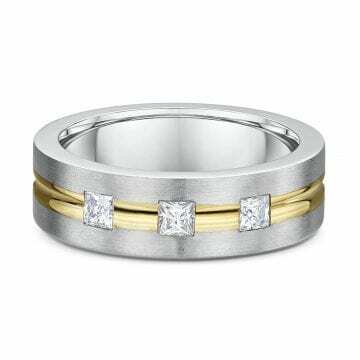 The 14kt gold wedding band is set with (46) round brilliant cut diamonds that have a carat weight of 0.37ctw. 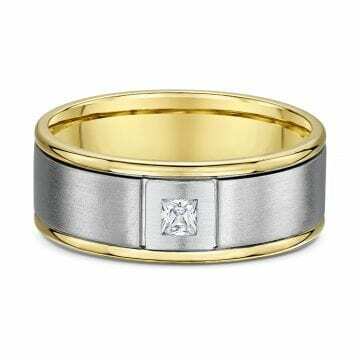 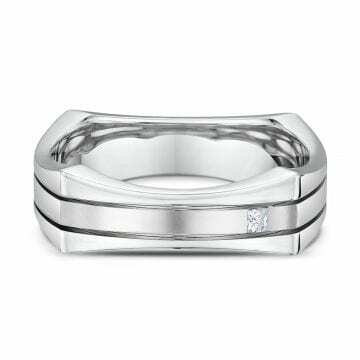 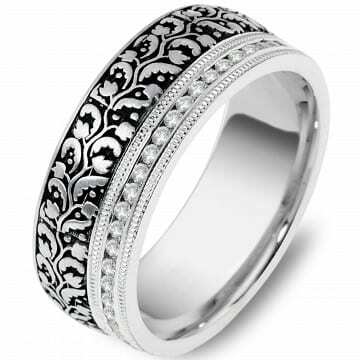 The band can be customized to your choice of metal and is available with or without diamonds. 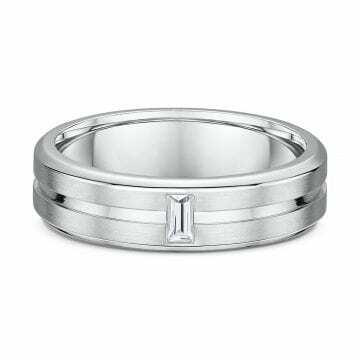 Please call for information & pricing on custom options. 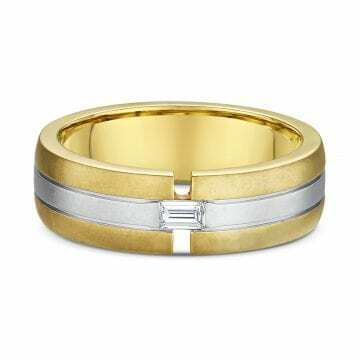 The 14kt gold wedding band is set with (102) round brilliant cut diamonds that have a carat weight of 0.61ctw. 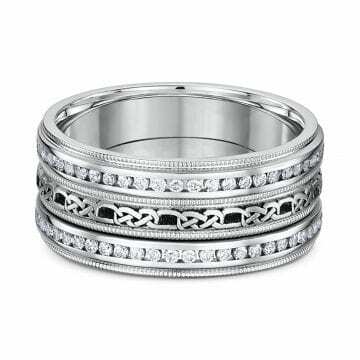 The band can be customized to your choice of metal and is available with or without diamonds. 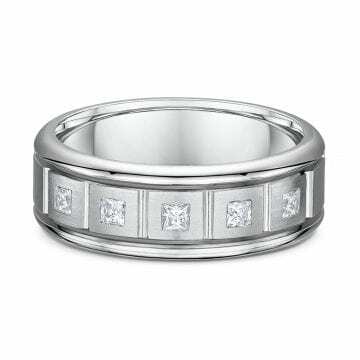 Please call for information & pricing on custom options. 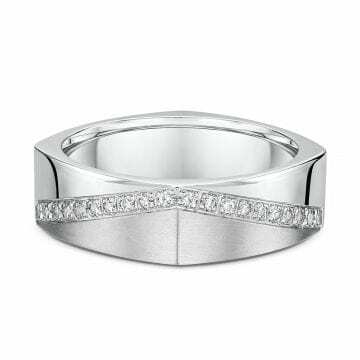 The 14kt ladies wedding band features (18) round brilliant cut diamonds that have a carat weight of 0.14ctw. 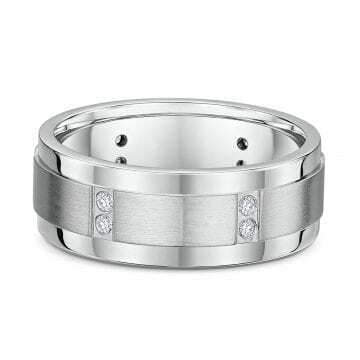 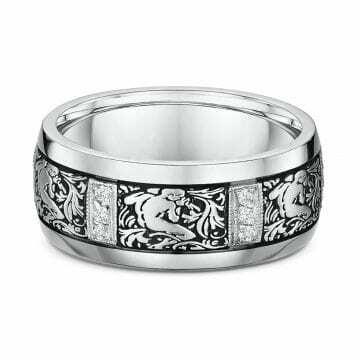 The band can be customized to your choice of metal and is available with or without diamonds. 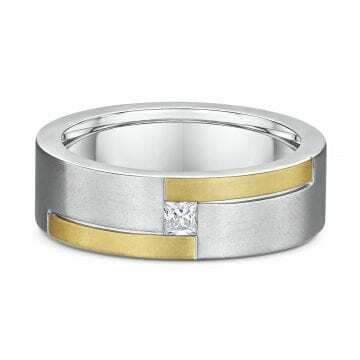 Please call for information & pricing on custom options.